We're looking for online retailers who might be interested in selling our novels on their website. 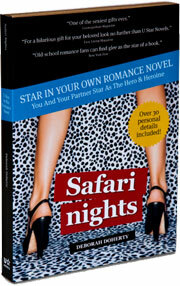 U Star Novels sells personalized novels for adults and personalized classics. By completing a quick questionnaire providing the details to personalize the novel, within 7 days customers have an authentic paperback novel or an ebook within 24 hours starring them on every page. With women all across the country enjoying the 50 Shades trilogy, the search for a sexier read for Christmas, Valentines Day, anniversary's, birthdays and much much more can be found here. As well as our personalized romance novels, we also offer personalized classics which have been a huge success. With over 30 titles currently available we hold the largest range of personalized classics with the fastest delivery times. These could all be available to your customers just by clicking a link. No longer will you have to hold stock or deliver the product to the customer we will arrange all of that for you at a very competitive rate. Our novels can also be sold in store in the form of a gift box, each box can be registered online with a unique registration number and complete description of the book ordered. Further information on our products can be found at www.ustarnovels.com. Our business is continuing to grow despite the economic downturn, which goes further to prove that the concept works especially as we are selling books all year round for not only Valentine's Day, but Christmas, birthday's, anniversaries, hen's parties and many other occasions.